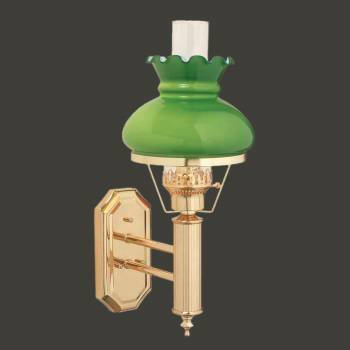 Item 20779 This hurricane light is polished and lacquered brass and comes with a green glass shade. Cord operated. This wall sconce measures 16 12 in. high.